Gewanda is the founder and CEO of Hope and Healing Corporation, serving the needs of the marginalized of society locally and abroad to orphanages in Haiti and Africa. In 2003, she started an organization to help young girls and teens suffering with self-esteem and identity issues. 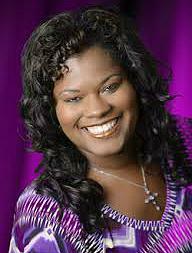 Gewanda is a featured concert soloist, and her natural talent in music and praise and worship has offered her the opportunity to minister and travel singing throughout the US, Canada and Bahamas. Levitical Praise was birthed out of these true authentic worship experiences. Johnson holds a Master of Divinity degree from Asbury Theological Seminary. Gewanda has worked with multiple multicultural and diversity assemblage of both professionals and laity groups in various settings. Most notable, in 2003, she was asked to speak to the highly Militant Religious Divides between the Protestants and Catholics in Belfast, Northern Ireland. Gewanda hosted a weekly radio show called “Message of Hope,” which directed its content to reconciliation and healing of the family, community, spirit, soul, and mind. Her book, It Only Hurts When I Can’t Run, was released in June 2015. This is the first volume of an intense memoir. Gewanda is working on the second volume. Get to know Gewanda at her website.